Nemo power tools makes the world’s best cordless power tools. Our tools perform better than all other brands in any environment, the toughest conditions, on land or in the water. We installed the new floating pool complex in Gibraltar with the help of the Nemo drill. It was used to insert literally thousands of screws and drill holes in both metal and wood. Without the Nemo drill, our job would have been a much more daunting task. We’ve all been there: You’re at the bottom of the sea floor, working away with a handheld screwdriver like a chump. Luckily, your underwater drilling needs have been answered by the Nemo V2 DIVERS Edition (DDV2-18-3Li-50) cordless drill. 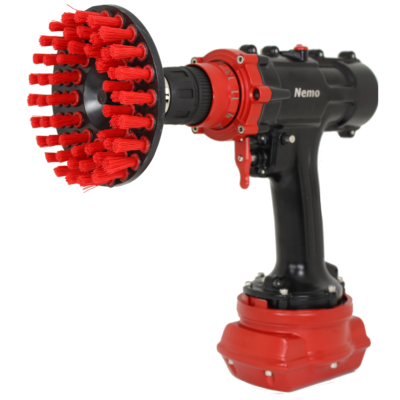 Nemo is the FIRST & ONLY company offering waterproof electric power tools. Resellers are welcome to join our network of partner-distributors.